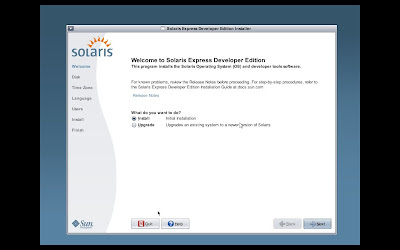 There's a new GTK / Gnome based installer for Sun Solaris Express Developer Edition (or select Developer from SXCE 70+ grub). It looks pretty good, but seems to miss some critical features in terms of disk partitioning. We'll see how Caiman turns out when they introduce that to Solaris Express..